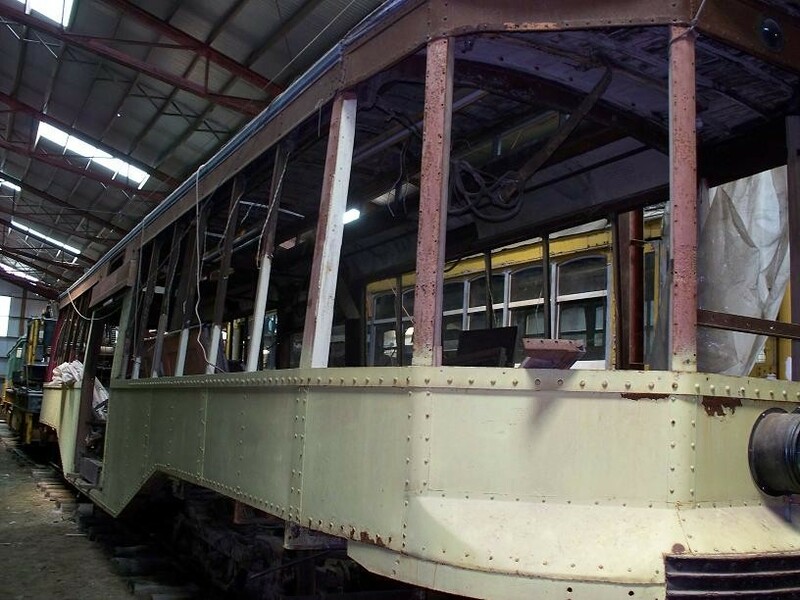 One of two center-entrance 6000-series cars from the Boston Elevated Railway preserved at Seashore is 6131, which has been torn down to the frame for a complete rebuilding. This car ended its days as a sand car but it will be backdated to condition as a suburban car. Added to the photo archive by Frank Hicks, July 1, 2007.